Hillary Chybinski: Jeans - How Many is Too Many? 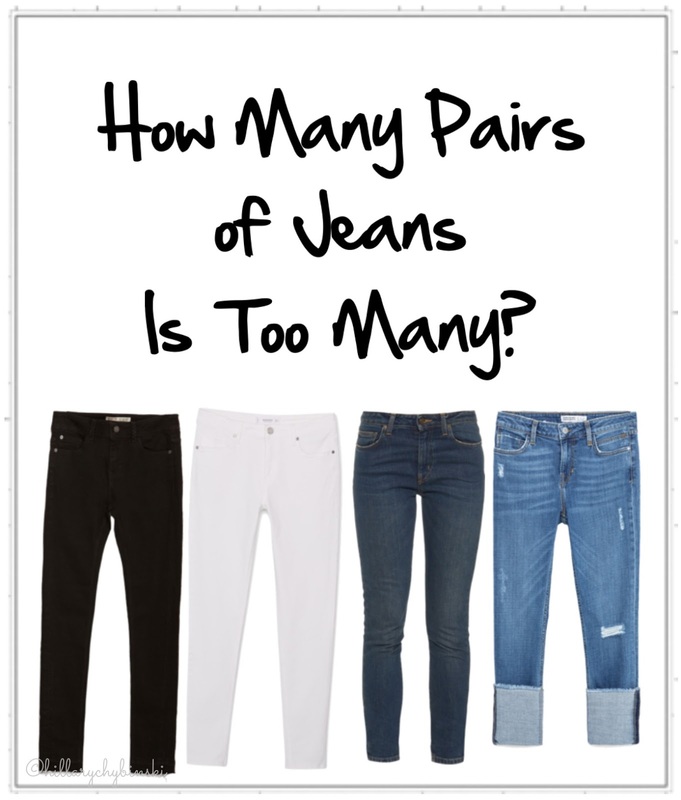 Jeans - How Many is Too Many? Welcome to another weekly fashion post, where I share real fashion for real women. Each week, I highlight at least one outfit that I'm wearing right now, as well as provide ideas and inspiration to help you get dressed in the mornings. Life is hard, getting dressed shouldn't be. This week let's talk about Jeans. Is it possible to have too many jeans? I guess it probably is, but a well-rounded current-day wardrobe should probably contain at least 4 pairs: black, white, dark denim, and a comfy, everyday pair. I am in the process of trying to find a new pair of faded, everyday jeans as my favorite pair has finally worn out. And while distressed jeans are still popular, sadly these have holes in all the WRONG places! 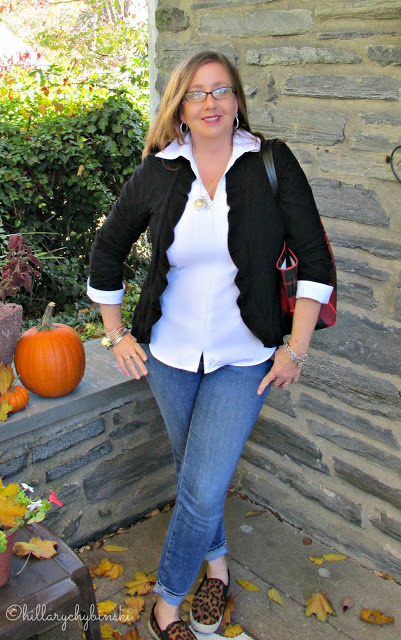 My favorite everyday pair was a simple pair of skinny jeans in a light rinse from Ann Taylor. They pretty much went with everything and were my weekend staple. Until they wore out. Now I am on the hunt to replace them, but Ann Taylor doesn't have them in that light rinse right now. With warmer weather around the corner (I hope! ), I'm looking forward to getting my white pair of skinny jeans out. I know it's perfectly acceptable to wear white outside of spring and summer, but it's just not a look I feel super comfortable in, so I don't do it very often. But once the temperature starts to warm up, I wear them all the time. They are so versatile and can be dressed up or down. Every woman needs a pair of dark denim in her wardrobe. It's your choice whether they be skinny, straight, flair or bootcut. You can find stylish options in a variety of cuts right now. 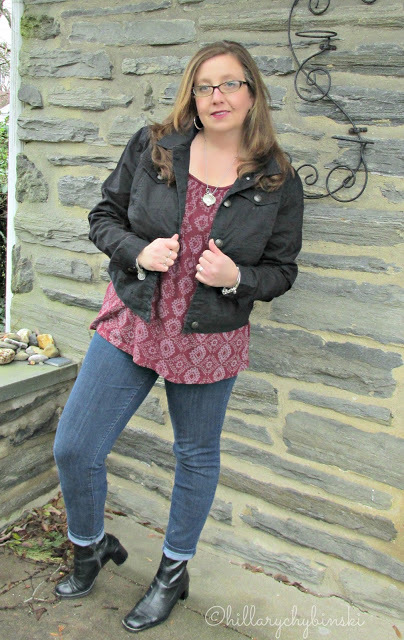 My favorites are the Modern Skinny Ankle Jean from Ann Taylor. Since I'm not practicing the capsule wardrobe, I have a few pairs of darker denim, in a few different styles. The last pair of jeans in your closet should be a pair of black jeans. I'm going to confess that these are my least favorite pair of jeans. I'm not sure if it's the cut, or just that black pants always make me feel like a waiter. 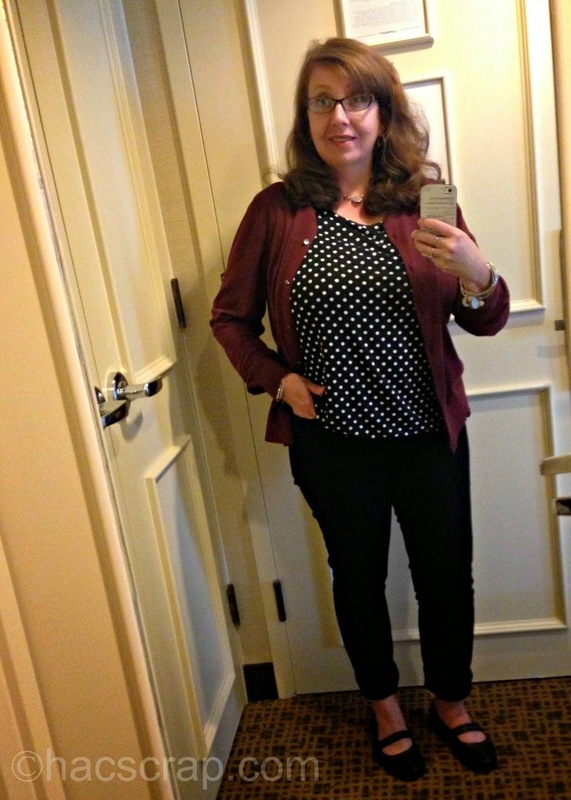 Many women swear by their black jeans, and I'm trying to get better about wearing them. Once you have the basics covered, you can add to your assortment of jeans with various colors, cuts and styles. But with those four pairs of jeans, you will ALWAYS have something to wear, and that goes a long way to making getting dressed every day easier. What is your favorite pair of jeans right now? 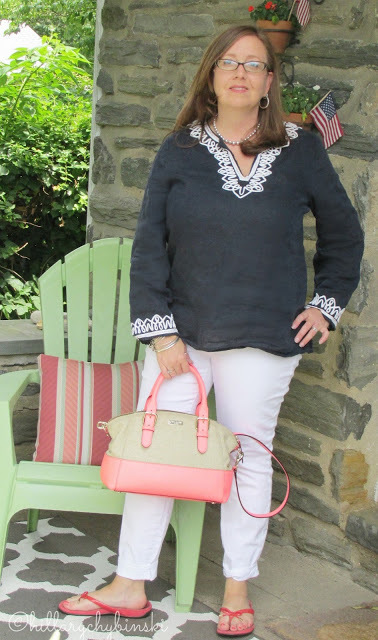 This post is linked up at The Pleated Poppy and at Jo-Lynne Shane be sure to check it out for even more fashion ideas and inspiration. I love that light rinse pair and the whole outfit!